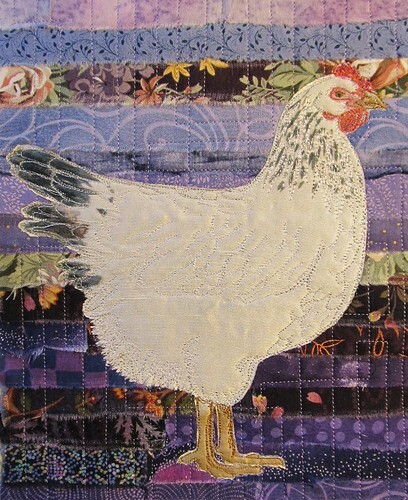 A Delaware hen. An endangered breed, which is sad, because she has lovely speckled feathers on her hackle, those neck feathers. I am thinking I need a red hen ("the sky is falling! the sky is falling!") or maybe a Sebastopol goose because I really, really like those frizzled feathers! Probably both. I'll have postcards of these four chickens up on Etsy next week.